Tyshawn Sorey 3 CD / 2 LP Set: Stephen Haynes/Ben Gerstein/Joe Morris/Todd Neufeld/Mark Helias/Carl Testa/Zach Rowden! Salim Washinton’s Dogon Revisited: Melanie Dyer/Hill Greene/Tyshawn Sorey! Christoph Erb & Michael Vatcher! Two from Krallice! PEK Solo! 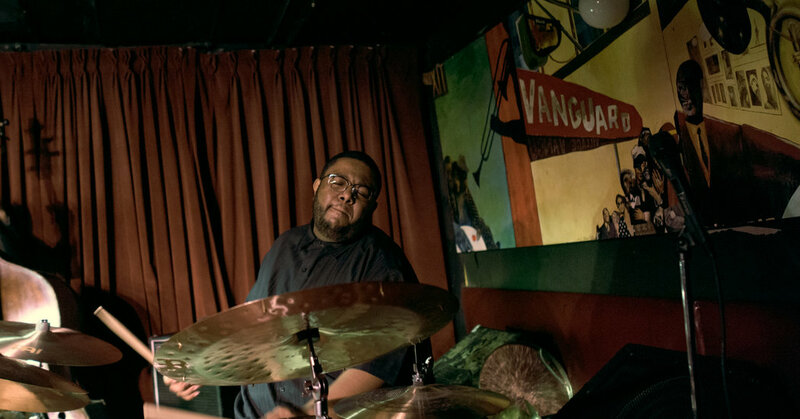 Four More from Sunnyside: Stu Mindeman w/ Greg Ward/Marquis Hill/Miguel Zenon..! Miho Hazama Metrople Big Band Plays Monk! Mikkel Ploug & Mark Turner! Dave Mooney & Ko Omura! Plus Historic Discs from: Wes Montgomery! Joe Pass! Toots and the Maytals! Linda Perhacs! LP’s from Mike Cooper! Roberto Musci & Giovanni Venosta! Miles Davis & John Coltrane! Sonny Rollins Quartet! Horace Silver Quintet! Bob Dylan and More..! 6pm: HANNA SCHöRKEN – Solo Experimental Vocalist from Cologne! 7pm: DAVE SEWELSON QUARTET – FMR CD Release Set!